I’m riding in the backseat of the 2018 Mercedes-Benz S560 when my driver peels his hands off the wheel and glances sideways. Relying on the car’s lane guidance and adaptive cruise control systems, he allows our big sedan to drive itself through an unprotected intersection at around 60 mph. Without warning, a car emerges and crosses our path, and we come frighteningly close to slamming into its tail until the Benz suddenly jams its brakes, lets the car pass, and resumes its path. The harrowing near-miss was staged by Mercedes-Benz on an airfield outside of Stuttgart, but the message is clear: Not only did the S560 successfully avoid a potentially fatal collision, it had the brains to calculate the car’s speed and direction, anticipate the potential impact, and apply brakes before resuming its trajectory. Not long ago, luxury flagships adhered to the simple formula of big engines and plush, amenity-laden interiors. 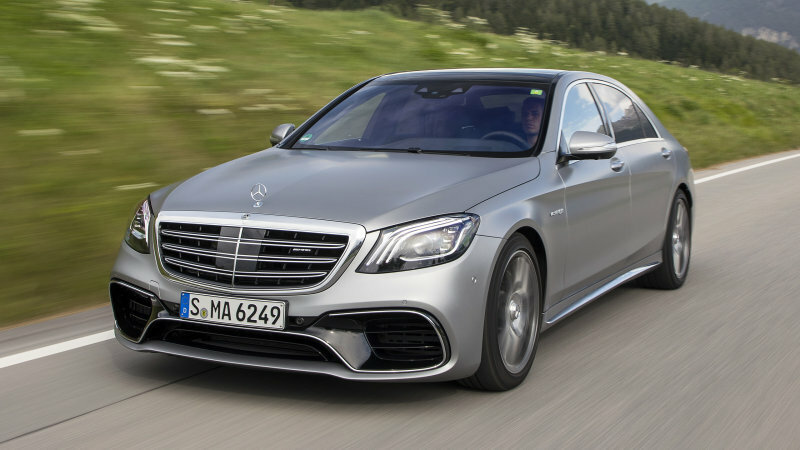 While the new 2018 S-Class still targets optimal poshness starting at around $100,000, the mid-cycle refresh focuses on building a smarter sedan around three new engines whose model names happen to recall big, bad Benzes of yore. The S-Class is the leading edge of Mercedes-Benz’s push toward autonomous driving, and thus the first to benefit from the brand’s advances. While surrendering control to the computer is not yet mandatory – in fact, most of the S-Class’s bells and whistles can be turned off – the more notable benefit comes in the form of accident avoidance features, which have the potential for saving lives. Sure, the new S-Class engines offer more performance and greater efficiency, but luxury wars will no longer be won on those grounds alone. Rather, the battle for supremacy will claimed from a matrix of luxury features, cabin comfort, performance – and yes, computer-aided driving. Based on those factors alone, the 2018 Mercedes-Benz S-Class is more than ready for the future.